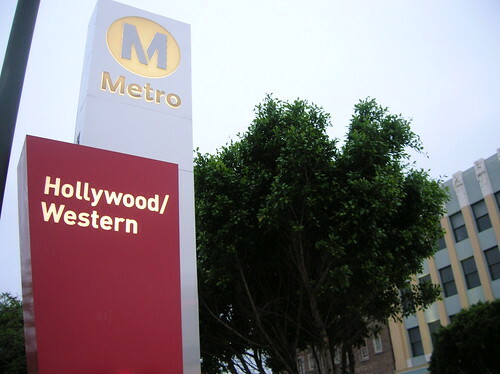 The Metro Red Line Hollywood/Western Station is the gateway to Thai Town. While many people enjoy taking Metro to discover ethnic enclaves in Los Angeles, for my special needs son and I, culture is secondary. Food and bookstores drive us. Still, after taking the Metro Gold Line umpteen times to Pasadena and trekking down Colorado Boulevard to Vroman’s Bookstore, SoCal’s oldest and largest independent bookstore, with a lunch stop at Russell’s Restaurant, I thought it was time to broaden our horizons. “How about taking the Metro Red Line to Thai Town?” I asked my teenage son. And so on a recent Saturday morning, we hopped on the Metro Red Line subway in North Hollywood and within a few minutes got off at Hollywood and Western where we had the choice of venturing into Little Armenia or Thai Town. Since I doubt if you could order chicken fried rice with no vegetables in Little Armenia, we took a short stroll toward Bangkok, Thailand. Actually, it’s an apt description. Los Angeles is known as Thailand’s 77th province. Like Los Angeles, Thailand’s capital Bangkok is known as the City of Angels. There are about 80,000 Thai immigrants living here, many in Thai Town, which is spread along Hollywood Boulevard between Normandie Avenue and Western Avenue in Hollywood. 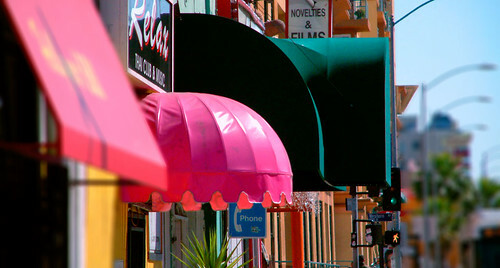 A colorful collection of small businesses line Hollywood Boulevard in Thai Town. There are many Thai restaurants, bakeries, markets and shops including import stores, silk clothing stores, and massage spas. And, yes, we found a bookstore. “Do you got any children’s books about Walt Disney in English?” my son queried the puzzled shopkeeper. Figuring I’ll never see this person again so why get embarrassed, I gently pointed out to my son that every title in the store was in Thai, but we should buy something as a courtesy. No, that wasn’t the souvenir my son desired so we continued our quest down Hollywood Boulevard where the distinctive buildings and Thai signage was reminiscent of Bangkok, my base city years ago when I ventured throughout Asia writing travel articles. Passing on a fried donut like pastry at a bakery, my son steered me into a noodle restaurant where he ordered his favorite dish and goaded the friendly waiter into teaching him a few Thai words and telling him everything he wanted to know about the King of Thailand but was not afraid to ask. The King’s photo and a small Buddhist shrine were on display, an endless source of fascination during our meal as were we, the only non Thais in the small restaurant. Soon we were on the street again in quest of the Holy Grail, the perfect souvenir. It turned out to be a small plastic palm tree my son purchased for two bucks at a tailor shop. What intrinsic link it had with Thai Town baffles me but then I guess palm trees are something Bangkok and Los Angeles have in common. And no doubt the Thais enjoy the works of Walt Disney, too, even if we couldn’t find a book on him here. Maybe we’ll try to find it in Little Armenia. Reader question: why does the Mulholland bridge need to be replaced on 405 project?